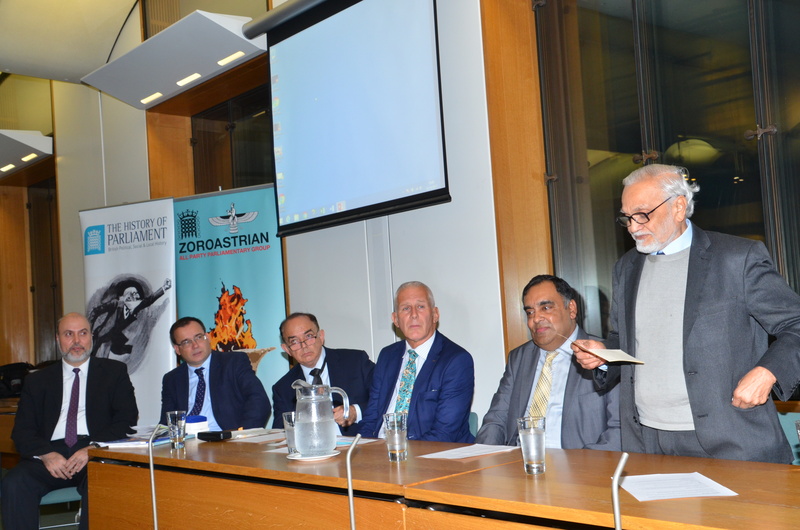 Last month we were delighted to celebrate the life and work of Dr Dadabhai Naoroji at an event in Portcullis House, Westminster, in collaboration with the Zoroastrian All Party Parliamentary Group and the Zoroastrian Trust Funds of Europe (ZFTE). 2017 is the centenary of the death of Naoroji, who we remember as the first Indian to be elected to Parliament. But Naoroji’s achievements were much broader than this; for he was a towering figure in the development of the Indian National Congress, as well as in many aspects of Indian intellectual and religious life. Born near Bombay in 1825, Naoroji initially moved to England to further his business career, before becoming a professor at UCL, founding the ZFTE and campaigning for Indian independence. In his most famous work, Poverty and Un-British Rule in India, Naoroji argued that British rule was a ‘drain’ on Indian resources. He entered British politics when he stood as a Liberal for Holborn in 1886. After his defeat, the Prime Minister Lord Salisbury infamously doubted that a ‘British constituency would elect a black man.’ The remark gained Naoroji public sympathy and support for his next campaign, in Finsbury in 1892. He won by just five votes, and stayed in Parliament for three years. He was one of the founding members of the Indian National Congress, and in 1907 returned to Bombay for good. At our celebration a range of highly qualified speakers reflected on his life and significance. After a welcome from Gordon Marsden MP (on behalf of the HPT) and Gareth Thomas (on behalf of the APPG), Malcolm Deboo read a statement from Lord Bilimoria, co-chairman of the APPG, who unfortunately was unable to attend. Emily Thornberry, the shadow foreign secretary and current MP for Islington and Finsbury, spoke of her pride that Naoroji had been one of her predecessors. The High Commissioner of India, HE Mr Yashvardhan Kumar Sinha, talked about the importance of Naoroji in the movement for Indian independence and the development of the Indian National Congress. Our main speaker was the distinguished political scientist Lord Parekh, who gave us an overview of Naoroji’s life and importance. He remarked how much support Lord Salisbury had inadvertently given Naoroji, drawing many to his campaign who would not have otherwise joined him. He described how Naoroji had campaigned for women’s suffrage, old age pensions, Irish Home Rule and the abolition of the House of Lords. But his major interest was, of course, Indian independence. Naoroji had great sympathy for Britain and British culture – in particular a culture that valued justice and ‘fair play’. Naoroji argued, however, that the problem with British rule in India was that they were acting in a ‘un-British’ way: not following these principles of justice. Lord Parekh concluded by discussing the legacy of the ‘Grand Old Man of India’: secularism, the Indian National Congress, and as an inspiration for figures like Ghandi and Jinnah. His remarks were followed by Lord Bourne, Under Secretary of State at the Department of Communities and Local Government, and time for wider questions. The occasion was an excellent opportunity to mark not only the life and work of a hugely important figure, whose influence spanned two continents; but also to reflect on the relationship between two countries and two Parliaments over more than a century. 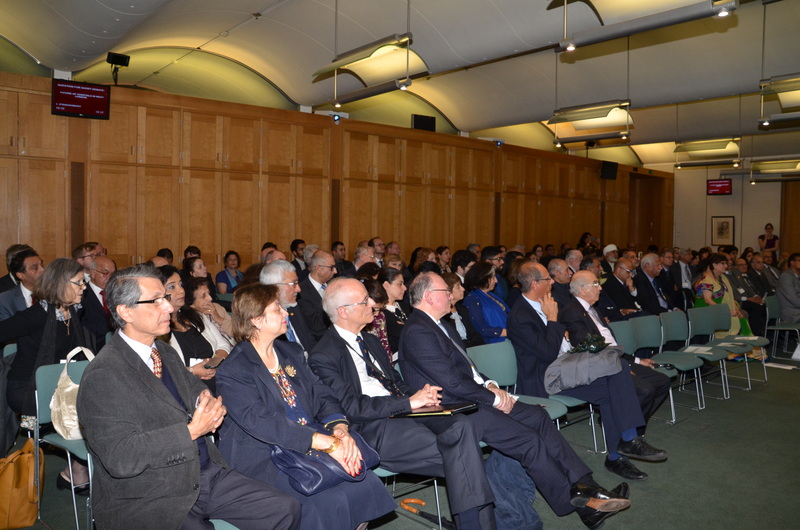 We were enormously pleased to welcome so many members of the Zoroastrian community, as well as historians and others interested in the impact of India on Britain and its politics. 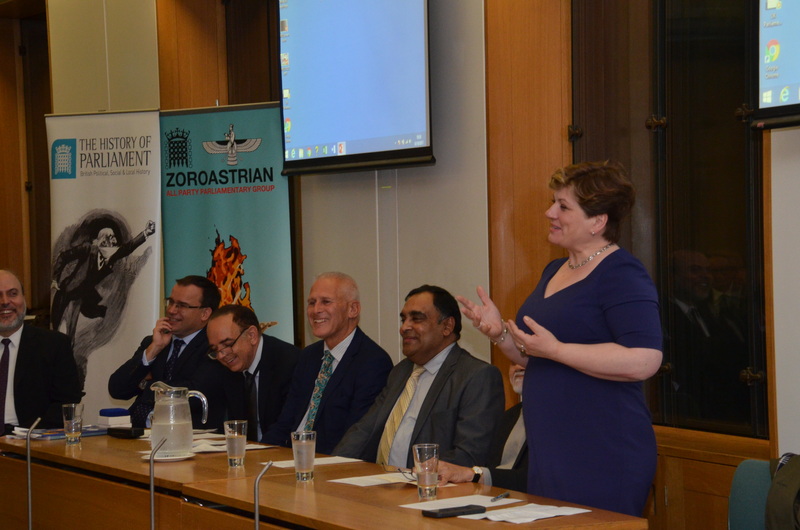 We would like to thank our speakers; our partners – the Zoroastrian Trust Funds of Europe, founded by Naoroji, and the APPG; and our generous sponsors, Cobra Beer, and Tata UK.